When you want a tree removal job done by a nationally certified sawyer, please call me, Scott Peterson, of SOS Tree Service. SOS Tree Service is fully insured to protect your property. My niche in tree work is directional tree felling which allows me to drop the trees in the direction where I intend for them to fall. This skill has been developed through many years of dedication to the art of knowing just how to cut the tree. I also utilize ropes to guide trees to the intended target, which many times allows me to work without heavy equipment, buckets and excessive rigging. There are many benefits for customers who use a directional tree felling service. Some customers prefer to own part of the job and save money in the process. After the tree has been safely dropped to the ground, the wood is accessible for firewood cutters who may not have experience or liability insurance for tree felling. This type of tree removal is also perfect for those who are concerned about heavy equipment tearing up lawns or damaging underground utilities such as septic tanks or drain fields. Having me drop the tree can save you money compared to a full service removal. 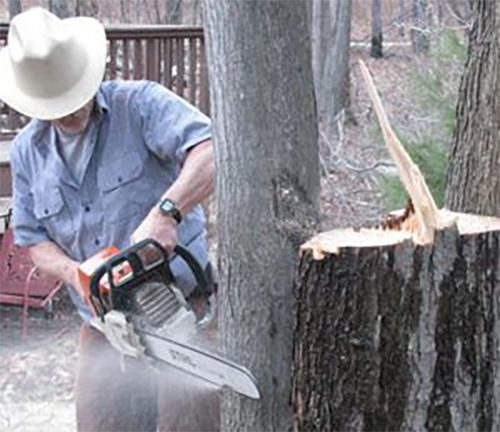 SOS Tree Service offers free estimates & competitive pricing. Serving Ludington, Hamlin Lake, Scottville, and other communities in Mason, Oceana and Lake counties in West Michigan. 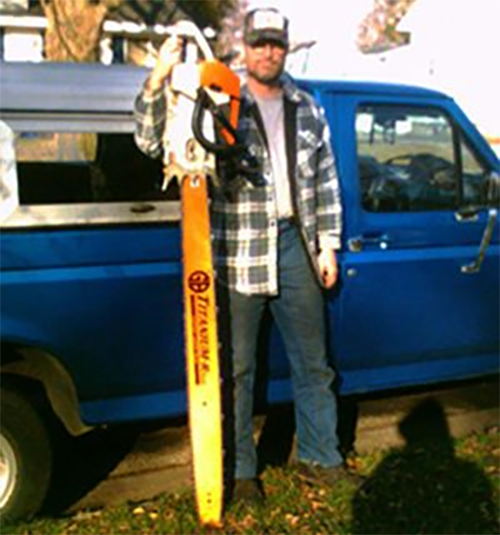 Call SOS Tree Service in Ludington today at (231) 690-3211 to arrange for an estimate. 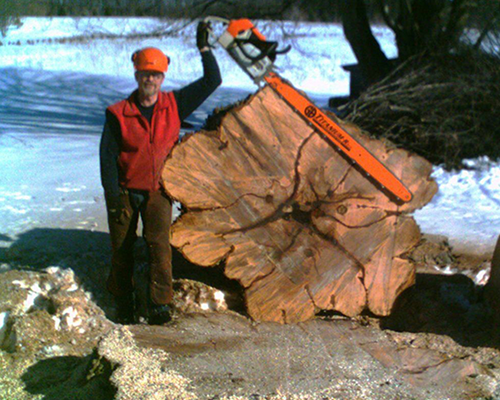 I provide chain saw safety and tree cutting techniques training in a five-state area, including Michigan, Wisconsin, Minnesota, Ohio, and Pennsylvania. I am U.S. Forest Service trained as a trainer of chain saw use and tree cutting techniques. There’s nothing I enjoy more than teaching and sharing my expertise at chain saw safety seminars. Groups smaller than twenty work best. During my years of teaching, I have trained many North Country Trail volunteer groups, and re-certified unrestricted sawyers for the Forest Service and United States Park Service. Read more about my training offerings here.